Are you a new Mom, Dad, Grandparent or Caregiver who would love to attend a warm, comfortable place to bond with your baby? Kindermusik With Friends is the place for you! 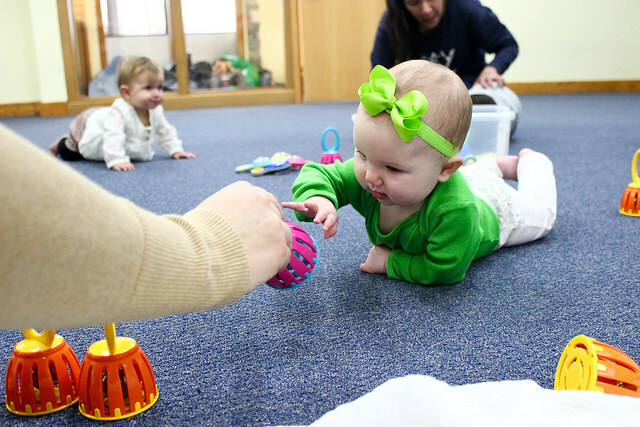 You’ll dance, sing, rock, cuddle & sway with your Newborn in a cozy Village class in the comfort of our studios in Chanhassen. Babies under 4 months receive FREE Tuition! Contact us with your interest and the birthdate of your child and we’ll send you a promotion code to take off your FREE TUITION to our 16 week semester that begins September 12th! We have UNLIMITED make ups if you can’t make your scheduled class. Maybe you’re having a rough morning or nap schedules are changing or you are out of town or catching up on sleep…no problem! We’ll get you into another class that week or two another week!